Batkivshchyna Party leader Yulia Tymoshenko believes that to build a fundamentally new quality of life, revive its economy and establish a high quality of life for its citizens Ukraine should rely solely on its own strength, and not on external advice. “If someone tells you that everyone in the world wants Ukraine to be a strong and powerful competitor – with its land, resources and the intellect of the Ukrainian nation – it’s not true. The competition in the world is tough and sometimes brutal, and nobody wants to raise our country, except we ourselves,” Yulia Tymoshenko said on the program “Pravo na Vladu” on the TV channel 1+1. The politician believes the country should abandon its raw material economy and refocus on innovation, which in turn will stop the massive outflow of Ukrainians going abroad in search of better living conditions. “We should think about how to make Ukraine a country of successful people who will not escape from Ukraine, but who will return and connect their future to Ukraine,” said the Head of the Batkivshchyna Party. 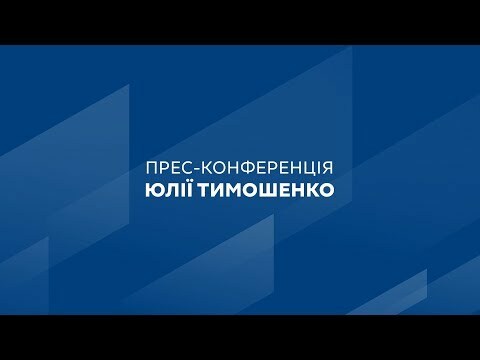 At the same time, Yulia Tymoshenko noted that there are no “magic solutions” that can instantly “make the country prosperous and successful,” but that Ukraine must rely on Ukrainian intellectuals and specialists in different fields in order to jointly make important systemic transformations in Ukraine. “We must in a short time build a fundamentally new system of life. This is not just increasing wages, but the whole aura of life, when a person can live freely, learn… So that our children who want to work in science and business can find opportunities,” said the politician. The parliamentarian noted that it was precisely because of this that Batkivshchyna, together with a team of specialists, developed the draft New Economic Course and draft New Constitution, that will allow to change the extremely critical state of affairs in the state. “Over the past 4.5 years since the election of the current president, we not only criticized the authorities, but gathered hundreds of Ukrainian intellectuals who have undeniable intelligence and knowledge in the economic and financial sectors, constitutional law, and we have been looking for a step-by-step path for Ukraine, to change the bad trend of stagnation to a path of development and success,” said Yulia Tymoshenko.